This is what you need to do: just remember your most favorite color, decide which piece you search for and pick its light option. Let the color of your eyes be more visible and make the clothes be just a tender supplement of the color theme you wear today. Isn’t it sweet and pretty? Almost dressed up in a candy- floss… is that you? Oh yes, you are! How many times have you been standing in front of your wardrobe trying to get an idea of what you should wear tonight: black or white? Both are classic colors suitable for any important event you have on your schedule. 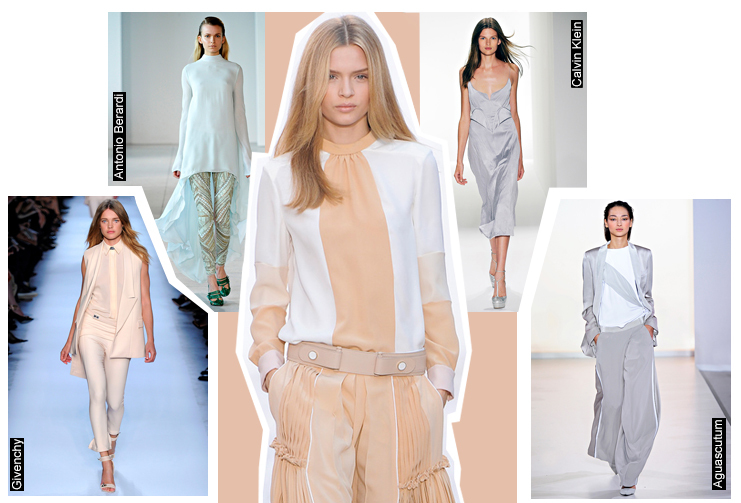 Yet these colors have never been as gorgeous and elegant as in the spring-summer collections 2012. They were simply created to seduce and shock the public. It plays the primary role in your personal arsenal of spells. Angels and demons have finally found the compromise.